WWI Profile: Claudie Hall McCall 1888-1919 | Friends of Fort Caswell Rifle Range, Inc.
Claudie Hall McCall was born in Brunswick County, NC, in 1888, son of Alice McCall. In 1892, Alice married David Hewett. She had several children with David, one of whom was Willie Cross Hewett, another Brunswick County WWI veteran, who was profiled in the previous post. Claudie’s Draft Registration Card from the June 5, 1917, draft shows he was single, living in Supply, and working on his own farm. On February 7, 1918, Claudie married Lundie Frink. The marriage certificate is difficult to read, but seems to show that he was married in his house, with three witnesses: Allen Stanley, Daniel H. Wilcox, and Joe Hunter, all from Wilmington. Claudie was ordered to report to duty on April 2, 1918 [Source: ancestry.com]. After a very short training period, on April 26, he was assigned to Supply Company, 120th Infantry, 30th “Old Hickory” Division. He then boarded Bohemian in Boston with his Company on May 12, 1918. On October 4, 1918, his son, Claudie Hazelwood McCall was born. On October 25, 1918, his half brother Private Willie Cross Hewett died of wounds, as described in the previous post. Private McCall nearly made it home. But when his company boarded USS Pocahontas in France on March 28, 1919, to return home, he was not with them. His name was crossed out, indicating that he had entered Hospital #52 on March 5, 1919. Claudie Hall McCall died on April 13, 1919, from an abscess of the lung. Having the hospital number provides an opportunity to investigate further. According to the Official History of the 120th Infantry the 30th Division was marched to Forwarding Camp at Le Mans in early January 1919. 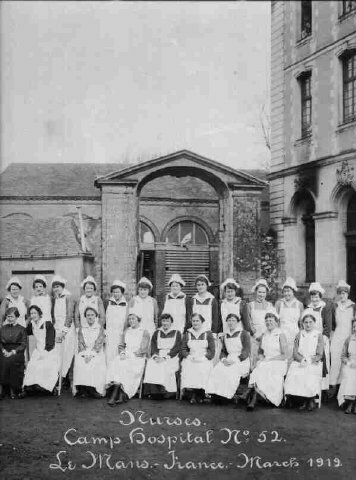 They remained there until early March, when they were moved to Embarkation Camp at St. Nazaire. 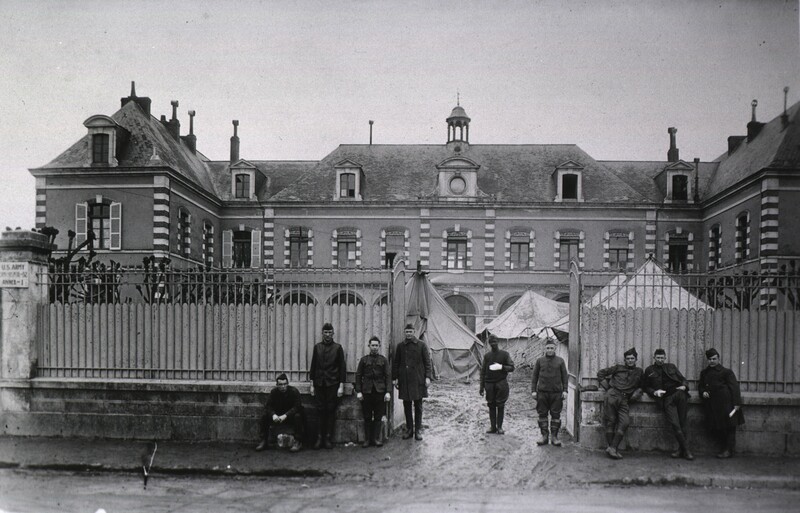 The Camp Hospital in Le Mans is #52, which means this is the hospital where Private McCall died. Using the full passenger list (excerpt shown above), it is also possible to identify other soldiers in Supply Company from North Carolina who spent his last days with him. Wagoner Dewey C. Bulla from Asheboro, NC, was admitted on March 26, recovered and returned to the USA on May 12. Private George V. Burnett from Black Mountain, NC, was admitted on March 1, recovered and returned to the USA on June 2. Corporal Henry G. Dallas from Reidsville, NC, was admitted on March 14, recovered and returned to the USA on April 24. Wagoner James W. Vickers from Rutherfordton, NC, was admitted on March 5 and passed away on March 13 from broncho pneumonia. 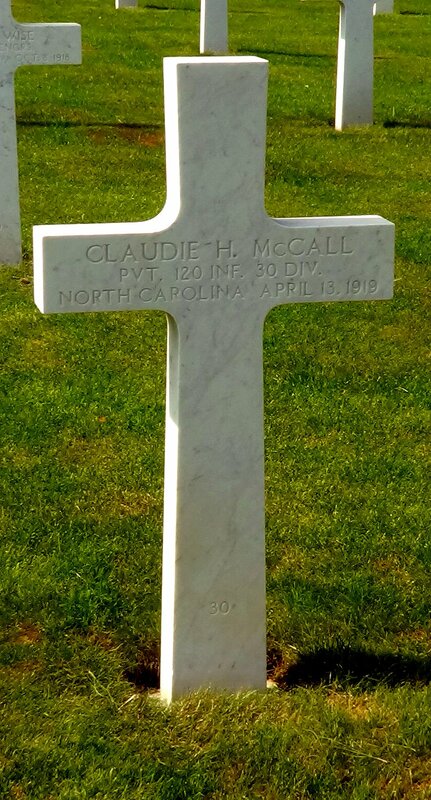 Private Claudie Hall McCall was laid to rest in the Oise-Aisne American Cemetery and Memorial in France, which is located at the very spot where the 42nd “Rainbow” Division fought. The cemetery is the site of 6,012 American graves. Many Brunswick County WWI veterans fought with the 42nd Division, which will be included in WWI Profiles in the future. Claudie’s mother, Alice Lenore McCall Hewett, was given the opportunity to take a Mother’s Pilgrimage in 1929 to visit his gravesite. All three mothers listed from Brunswick County declined. Claudie’s son, Claude Hazelwood McCall, lived until age 95, dying in 2013. His obituary is printed below. NEW BERN – Claude “Mac” Hazelwood McCall, 95, of New Bern, passed away December 5, 2013, at CarolinaEast Medical Center. Mac was born on October 4, 1918 to Claudie and Lunda McCall Jones in Brunswick County. He graduated from New Hanover High School in Wilmington, NC, in 1936 and Wake Forest University in 1940. While at Wake Forest, his attaining the ACC Welterweight Boxing Championship was notable. Mac was employed at the Wilmington, NC shipyard during WWII. He met his beautiful bride, Catherine Virginia Ensley, during the war and they married in February 1945. In 1946, Mac began a long and distinguished career in the airlines industry. After working for Eastern and Piedmont Airlines in accounting management, Mac became Director of Revenue Accounting for the Air Transport Association in Washington, DC in 1957. He also served with distinction as Secretary-Treasurer of the Airlines Clearing House from 1968 until his retirement in 1984. Mac thoroughly enjoyed participating in the “golden years” of the airlines industry. Mac was heavily involved with the Baptist church throughout his life. He enjoyed teaching Sunday school, and was a member of First Baptist Church in New Bern for over 25 years. In his early family years, he was President of the Springfield, VA Babe Ruth Baseball League for five years. He is survived by his son Keith McCall (Karen), his daughter Claudia Bryan, his grandchildren Shannon and Michelle Bryan and Scott, Ryan and Kimberly McCall, and six great-grandsons. Mac was preceded in death by his wife Catherine, three half-brothers and one half-sister. Funeral service will be held at 11 a.m. December 14, 2013, at First Baptist Church in New Bern with Dr. Richard Seagle officiating. Entombment will follow at Greenleaf Memorial Park. The family will receive friends one hour prior to the service at the church. In lieu of flowers, memorial donations may be made to First Baptist Church or St. Jude, P. O. Box 1000, Dept. 142, Memphis, TN 38101-9908. Online condolences may be made to the McCall family at www.cottenfuneralhome.com. This concludes the Brunswick County WWI veterans who were wounded or killed while serving in the 30th “Old Hickory” Division. 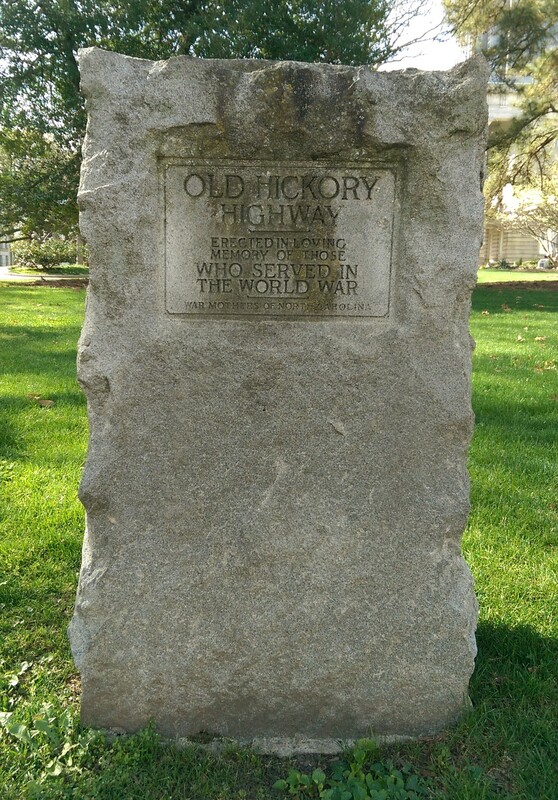 A memorial to the 30th Division was erected on the northeast corner of the North Carolina state capitol grounds in Raleigh on September 29, 1930, the 12th anniversary of the breaking of the Hindenburg Line. In all, the “Old Hickory” division lost 8,415 men. 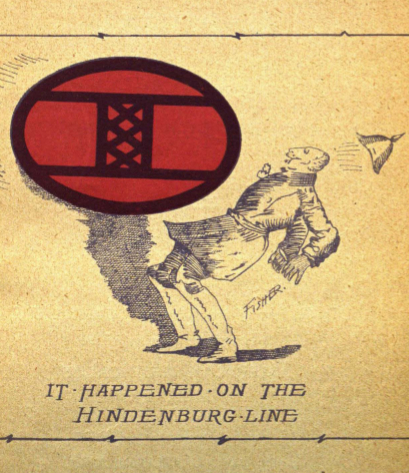 The first to break the German Hindenburg Line on the Cambrai-St. Quentin front. Awarded more Congressional Medals of Honor than soldiers in any other American division.